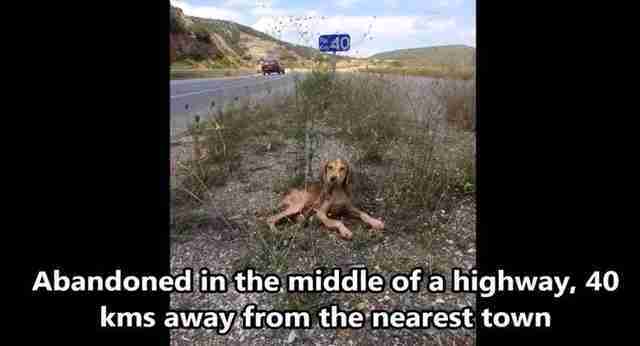 When rescuers found Melios by the side of a rural highway in Greece this past July, the poor pup was completely alone. 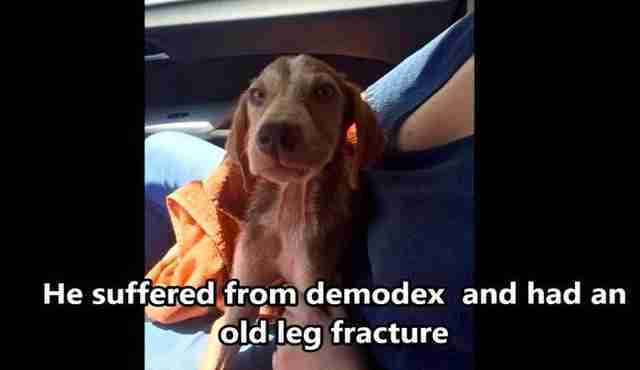 Sick, scared and starving, little Mel was huddling in the grass as cars whizzed by. 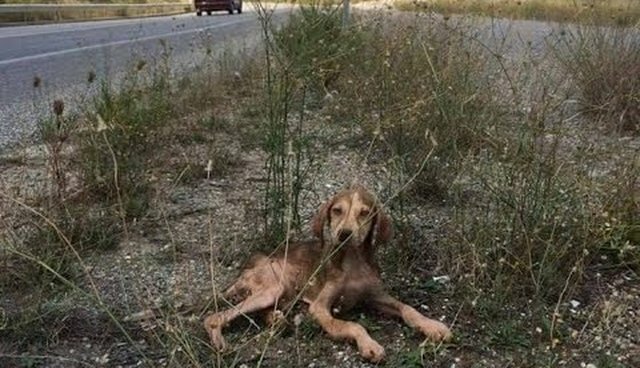 So the volunteers with Ιlioupolis Animal Welfare Union, an animal rescue organization, scooped the little guy up and hurried him to safety. Melios was so weak that he just lay there limply and let himself be put into their car. The poor little guy had no idea where he was going - but he probably knew it couldn't be worse than where he'd been. Melios sat patiently on his rescuers lap, enjoying the first caring touch he'd ever felt. 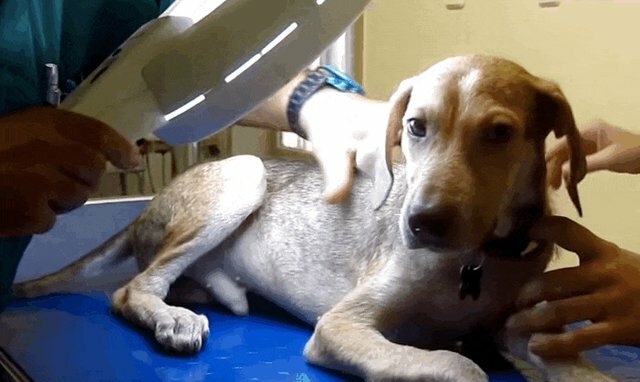 Melios was covering in mange, which must have made being touched and held painful for him, but he let himself be cared for by veterinarians at the organization's clinic. It was already clear that he had a sweet, loving personality. Pretty soon the treatment was working and Melios was already looking much better. And once he was safe at his foster home, Mel's sunny, playful disposition really began to come though. 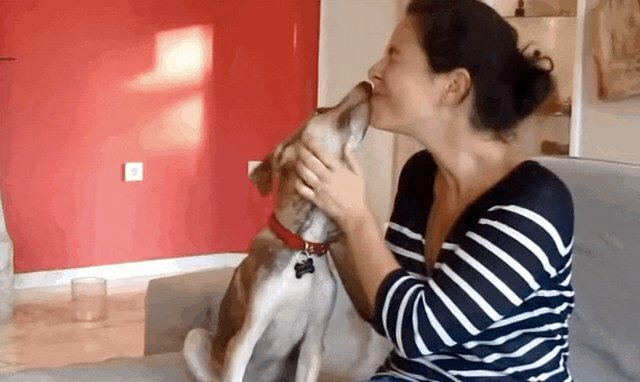 Now he spends his days playing with his doggie foster brother, kissing his new friends and basking in love for the first time in his life ... all while he waits for a forever family. This incredible transformation was all made possible by a lot of love and hard work. Someone didn't care if Melios lived or died, and left him, when he was just a small puppy, in a place where he could easily have been hit by a car or starved to death. But these caring rescuers have made it possible for him to live the kind of life he, and every dog, truly deserves. Find out how to support this lifesaving work here.